Hippolytushoef, The Netherlands (10 February 2010). 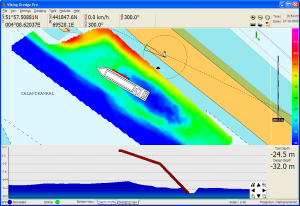 CT Systems unveils the all new Viking Dredge software. Viking Dredge is specifically designed for use on a wide range of dredging vessels, ranging from a small cutter dredger to a large seagoing hopper dredger. 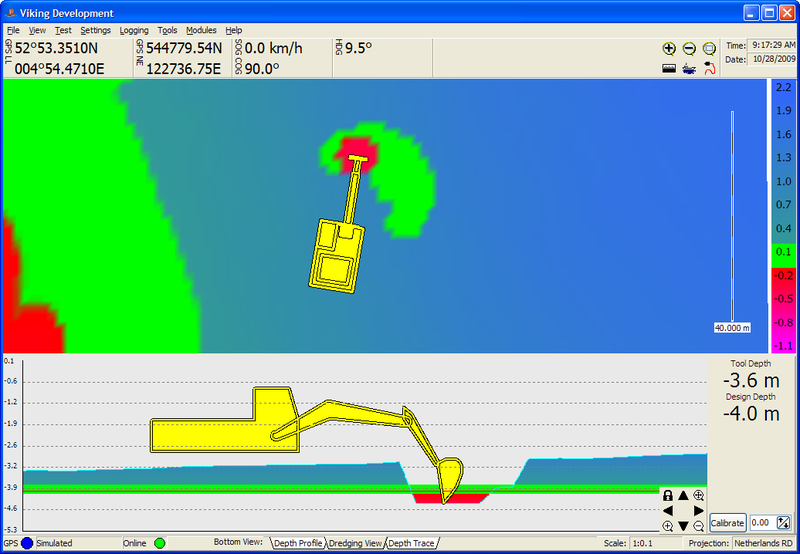 Viking Dredge continues on the foundations and success of the existing Viking Navigation software. With Viking Navigation as a rock solid base Viking Dredge makes use of the same ease of use and extended navigation functions. Besides the existing Navionics and Autocad DXF support, Viking is expanded with support for 3D DTM, XYZ matrix, and XYZ ASCII data. With direct support for a wide variety of sensors such as angle sensors, depth gauges and pressure sensors, Viking Dredge can visualize and register the entire dredging process. Besides the use on dredging vessels, Viking Dredge can also be deployed on grab dredgers and hydraulic excavators. 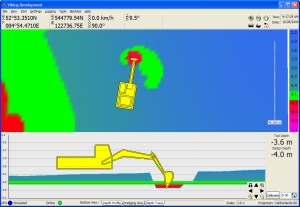 Using an RTK GPS, inclinometers and an optional wire-length measurement Viking Dredge can work on earth moving machines with centimetre precision according to a 3D terrain model. With the arrival of Viking Dredge, the Viking software is significantly expanded. The lightweight Target version, the Navigation version for advanced positioning, and the all new Viking Dredge enables Viking to be deployed on a diverse number of ships, dredging vessels and earthmoving machines.